We developed these bountifully flowering, waterwise Jame Sages through our breeding program at Flowers by the Sea Farm and Online Nursery. Some of you may have already enjoyed Ignition Purple in your gardens. It was our first introduction in the series and, in 2015, won a top performer rating as a pollinator perennial from trial garden managers nationwide who were surveyed by Greenhouse Magazine. The VIBEs have small, attractively glossy mid-green foliage. They bloom bountifully from spring to fall, which makes them a reliable source of nectar for pollinators throughout the growing season. Hummingbirds give them plentiful buzz. You can plant the VIBES as fast-growing annuals in climates where winters are chilly or as perennials in USDA Plant Hardiness Zone 7 or warmer areas. Trimming their spent flowers aids repeat bloom and maintenance of a pleasingly compact, rounded look. All three plants reach up to 24 inches tall and wide in bloom. 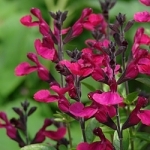 Due to their overall rapid growth, VIBE Salvias root well quickly. Once established, they tolerate heat as well as drought. That said, they enjoy and thrive with regular watering. 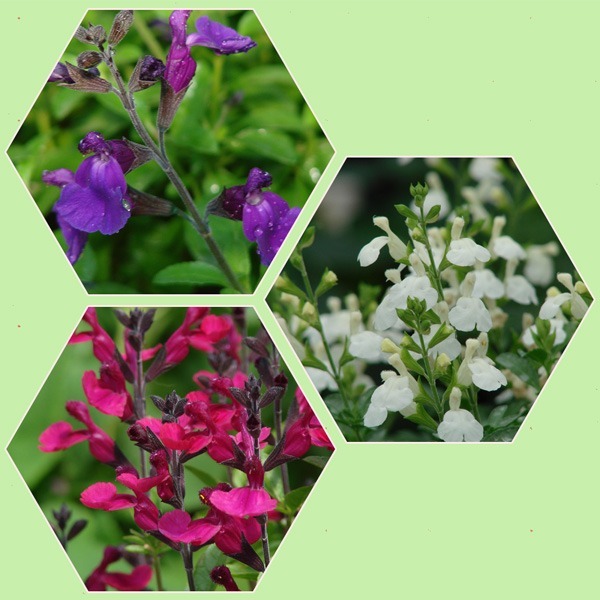 In addition to ordering the VIBEs directly from our nursery, you may encounter them in garden centers nationwide due to their distribution by our representative, Plant Haven International. Please feel free to contact us with any questions you may have about the Three VIBEs and other FBTS favorites for small wildlife gardening. I was very impressed with the careful packing when I opened the box with my blue anise sage! 4 out of the 6 plants already had beautiful flowers! One stem had completely broken off at the base. I emailed fbts and got a prompt reply that it would be replaced. I will order from them in the future! This is my second year purchasing plants from Flowers by the Sea. Again, it was a great experience. My order came as promised, packed well, and the plants are great. Can't wait til the hummingbirds come visiting, just like they did last year.